Iceland Day Tours – Active – The Great Canadian Travel Co.
We know everyone is interested in different tours when planning their trip to the island. Take it from us, this sampling highlights only a few of the activity-based day trips you can choose, but there are many more excellent options not listed. Tell us what activity you are interested in and we can match up the tours that best suit your needs. We offer tours starting in Reykjavik, Akureyri, Isafjordur and Skaftafell, or if you’re on a self-drive, in numerous places along the way. Just ask! 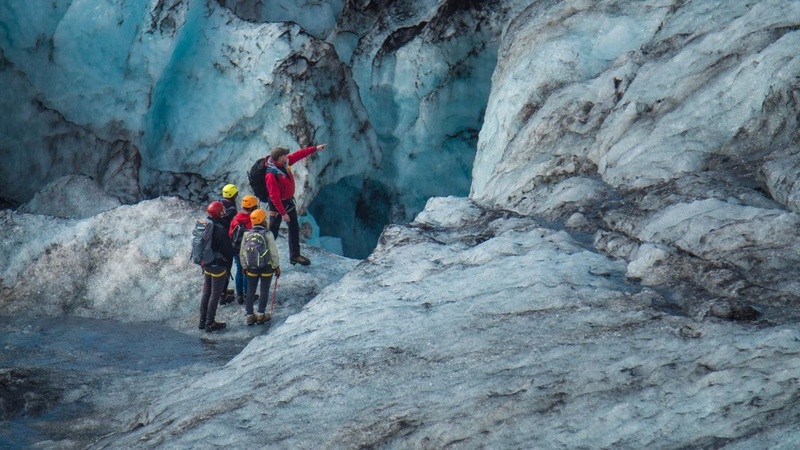 Glacier Hike and Ice Climbing on Solheimajokull. On this fun, safe and easy to moderate glacier walk you get to explore the wonderland of ice sculptures, water cauldrons, ridges and deep crevasses on the breathtaking Sólheimajökull glacier. Tour starts from the parking lot at the end of the Solheimajokull road. There is a 30-40 min walk from the parking lot to the glacier. This glacier walk can also be taken from Reykjavik including pick up and drop off at your hotel and transportation to/from the glacier. Snorkelling in Thingvellir National Park. The Silfra lava fissure is one of Iceland’s best-kept secrets. Silfra, which is situated in the heart of Pingvellir – the site of the world’s oldest parliament – is an otherworldly scene. The crystal clear water in the deep fissure gives you a feeling of being weightless as you float down with the lazy current. After an hour of snorkelling we climb out and on to the riverbank to enjoy a warm cup of hot chocolate and some light refreshments. Tour as above but scuba diving in Silfra lava fissure rather than snorkelling. PADI certification required. If some of your party are certified and others aren’t, you can combine scuba diving and snorkelling at the same time. 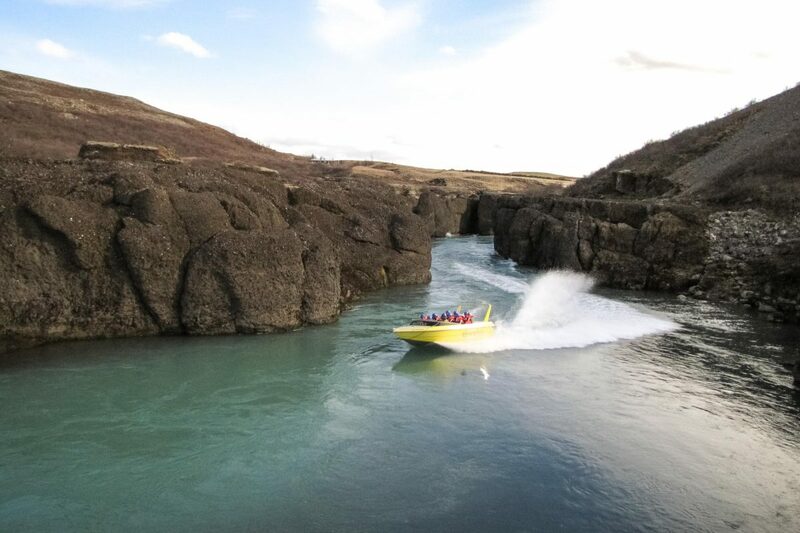 This tour offers a great combination for those who want to make the most of their time in Iceland. On this trip you will get to snorkel or scuba dive through one of the world’s most fantastic snorkel and dive sites, Silfra, as well as go hiking through a lava tube that was created thousands of years ago by a river of red glowing lava. With scuba diving: ISK56,990 – PADI certification required. Snorkeling in bubbling hot springs is usually impossible as the water is far too hot, but the hot springs at the bottom of Lake Kleifarvatn provide us with the opportunity to do just that! Lake Kleifarvatn is hidden within a stunning volcanic landscape just 30 minutes outside of Reykjavík. Standing at the lake shore and changing into your dry suit, you will probably catch a whiff of the sulphur emitted from nearby hot springs and the total silence will let you forget that you are anywhere near civilization. On the Ocean Diver Day Tour you will join the undersea inhabitants of the North Atlantic for a swim through Iceland’s cool coastal scene. 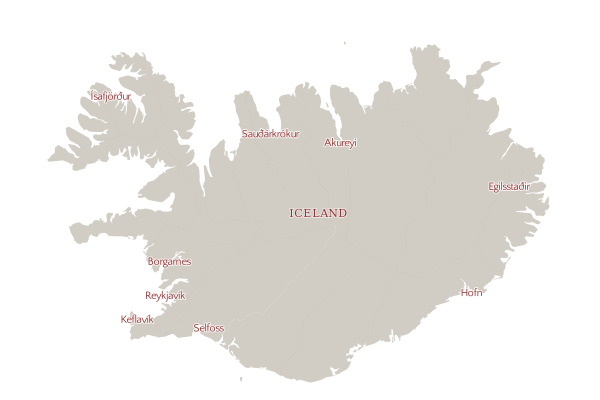 Our favourite local ocean dive site is Garður, located at the tip of the Reykjanes peninsula. Here we will swim out approximately 80 meters from the shore. Kelp forests offer a great habitat for a number of marine species, including lumpsuckers, nudibranchs, and a wide variety of invertebrates. Colourful algae also flourish here off the coast of Iceland. You will most likely notice pairs of eyes sticking out of the sandy patches of the ocean floor where the flounders live. Soft orange coral also intermittently decorates the sandy ocean floor. In the area of the kelp forests, a wolf fish might pay you an unexpected visit or stick its head out of a pile of rocks, looking a bit like a prehistoric creature. We will pick you up at your hotel in the Reykjavik area and bring you back afterwards and offer you some light snacks during the dive break. The pick up time of this tour depends on the tides. We usually want to end our second dive around the peak of the high tide. Note that ocean dives in Iceland depend on the weather and it can happen that scheduled ocean dive trips have to be cancelled due to unfortunate weather conditions. If that is the case we usually have a plan B and can offer you other dive sites, such as Bjaragia, Kleifarvatn or Silfra that do not depend on the weather as much. 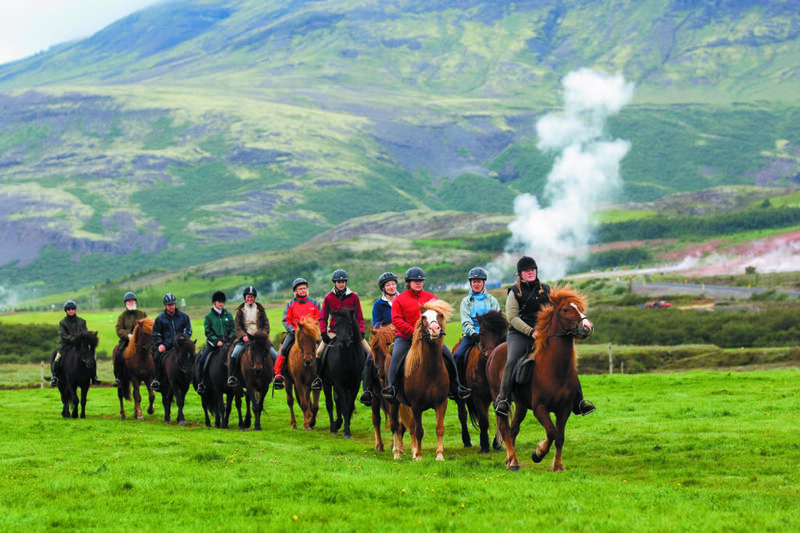 Ride one of the friendly Icelandic horses through lava fields. Riding time 1.5-2 hours. Available year round including transfers from Reykjavik. This tour gives you a taste of it all. Join a ride through lava fields and across beautiful hillsides. Riding time 1.5-2 hours. Operates year round and includes transfers from Reykjavik and a picnic lunch. Your ride follows smooth riding tracks through bushy hills and moss covered lava fields. See the variation in the lava fields depending on their age and enjoy the different shapes of the lava. After a ride of 1.5-2 hours we drive to the fabulous Blue Lagoon where you can choose to swim in the mineral rich water, enjoy a massage or just relax and enjoy the facilities. Entry fee to the Blue Lagoon is not included and must be booked in advance if you want to swim or use the spa facilities. Do you want to test the strength of the Icelandic horse? Are you an experienced rider? Then this longer riding tour is perfect for you! We ride for about 4.5-5 hours on excellent riding paths across stunning lava fields, crossing Kaldá River, around Mt. Helgafell or into Heiðmörk Nature Park. Our Viking Tour starts with an introductory ride in the morning. After lunch at the Riding Centre we head out again and try the different gaits of the Icelandic horse. Be prepared to ride trot, tölt or a short canter and really experience the versatility of the Icelandic horse. Descend 120 meters/400 feet into a dormant volcano that erupted 4,000 years ago. The dormant Thrihnukagigur volcano (good luck trying to pronounce it) is a unique natural phenomenon. By setting up the necessary gear and equipment, the operator has created a tour that opens the door to a new world. A moderate level of fitness is required for this tour, as access to the site requires a 45-50 minute walk each way over rocky terrain. Operates 15 May-30 September. We leave early from Reykjavík and catch the crisp morning view of the Langjökull Glacier where the Ice Cave is situated. Langjökull is 953 sq/km, or the second largest glacier in Iceland. Step on board our all new bus fleet, equipped with computer tablets in each seat. On the tablets you can use our GPS Sensitive In Bus Audio Guide, available in 10 languages. So, if you wish to know interesting facts about Iceland and the places you will visit on the tour in a language that you are comfortable with, that is very possible. Onboard you will also find a USB Charger and free WiFi. Should you have any questions during the tour you can ask the host who will happily assist you. You soon learn that in Iceland everything is possible – before you know it you suddenly find yourself standing on top of an Ice Cap and about to begin your descent down below the surface to explore what lies beneath. In order to get there we step aboard a specially-modified glacier vehicle. The Ice Tunnel or Ice Cave is a man made glacier cave situated high up in a remote area in the heart of Iceland. Your guide will explain how global warming has begun to affect the glacial environment. Once there, your expert guide will take you on a magical journey deep within the glacier. You get to see stunning blue-hued glacier ice and wonderful glacier formations. The glacier is in constant motion and we can witness that movement of nature itself firsthand. The temperature inside the glacier is usually around zero degrees Celsius or 32 Fahrenheit. Until very recently what lay beneath the surface of Langjökull was a mystery. Sometimes bold ideas can become a reality, but the realization of creating this fantastic Ice Cave was only possible through the dedication and expertise of Iceland´s top engineers and geo physicists. After our ice cave tour we get back on the glacier truck and head back to the basecamp where your driver will be waiting to take you to the small and charming village of Húsafell. You have the opportunity to have a packed lunch befure we head on to explore the mightiest lava cave in Iceland, Víðgelmir, which is just shy of 1600 metres / 5250ft making it one of the largest lava caves in the world. Your guide will show you and explain the amazing features of the cave, e.g. the wonderful colours, lava stalactites and stalagmites etc. The lava field was formed during a destructive eruption in the 10th century that originated under Langjökull. The cave is mentioned in a written source dating back to 1398, and evidence of human presence dating back to the Viking Age(983-986) were discovered in 1993. The Lava Cave tour is extremely family friendly, thanks to our all new signature walkway and feature lighting. Afterwards we take a scenic route back to Reykjavík. 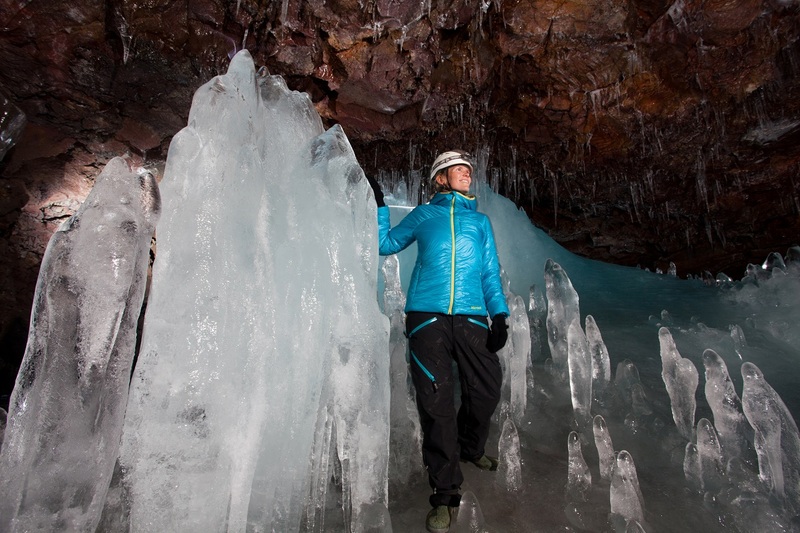 Join us for an exploration of a secret ice cave along the South Coast of Iceland. On the way to the cave from Reykjavík, you will see a picturesque landscape that features the stark contrast of black sandy earth, mossy green mountains, and the Mýrdalsjökull glacier. After enjoying these gorgeous views, we arrive at the ice cave nestled in a location known only to a few. As we follow the path into the cave, you will notice the glistening walls and high ceiling made of ice that has been artfully sculpted by glacial water. The sounds of black sand crunching beneath our feet and water dripping inside the ice cave are the soundtrack for our adventure. We will weave along a path before entering an epic opening in the ice cave that features its own sunroof. The light shining on the icy walls showcases the unique characteristics of this secret gem. Later on, we follow the front of the outlet glacier where it is standing high with ash covered ice wall, which forms the high contrast between the surrounding mountains and the glacier itself. The location of this cave allows for stunning views of the surrounding scenery. Following our exploration of the fantastic secret ice cave, we stop near the Black Sand Beach at Hjörleifshöfði mountain area to experience more breathtaking Icelandic nature. Those who are coming from Reykjavík will enjoy one more scenic stop at Seljalandsfoss waterfall before heading back to their accommodation. Please note that ice caves are natural phenomena and the conditions can change depending on weather. Your safety is our first priority so sometimes our tours may be cancelled with short notice due to weather conditions or safety concerns. If this happens we will always do our best to offer you an alternative tour if weather permits. A fun and adventurous day on the South Shore. forget your camera, you will want to share this experience with your friends and family. 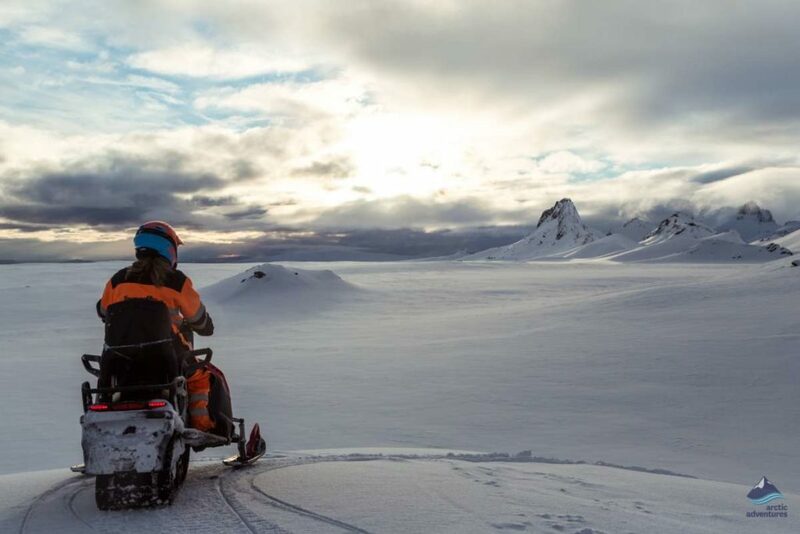 An exciting snowmobile adventure tour on Langjökull, Iceland’s second largest glacier and a visit to a totally magical natural ice cave. This is the ultimate glacier tour from Reykjavík – experience all that Icelandic glaciers can offer!